For the first time in 2019 we will offer lockers featuring cell phone loading stations at the Africa Festival. You can lock up your valuable items, charge your cell phone and go partying! Depending on the size, you can lent your locker starting from EUR12 (early bird discount) for the whole festival. The electricity costs for charging your cell phone are already included. You can now easily book your locker online and are ready to go at the festival once you have received your automatically sent access code. This will save you time and you don’t have to wait in line to book your locker. However, there is also the possibility to book lockers directly at the festival ground, as long as there are free ones left. 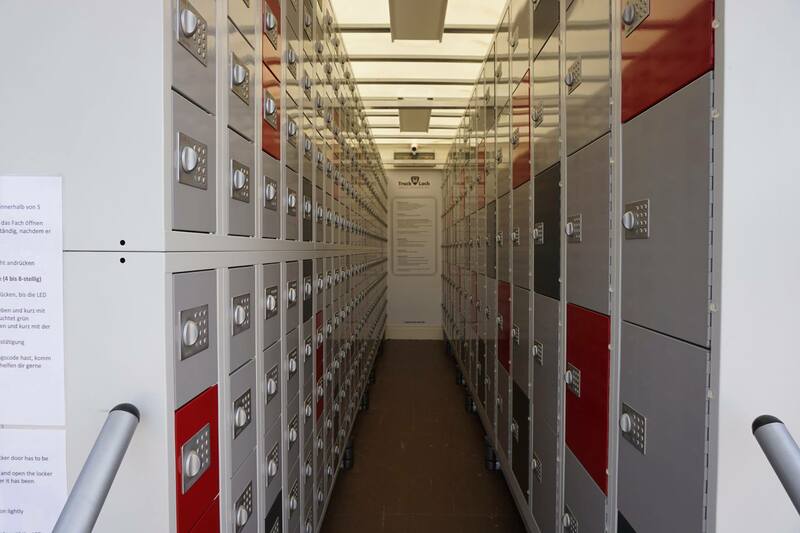 All lockers feature electronic digital locks: no key, no deposit, no stress!